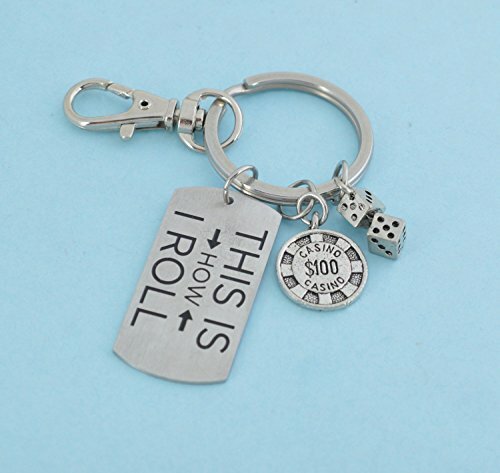 Dice and Chip keychain with silver pewter dice and 100 chip and dog tag that says: This Is How I Roll. Gambling gift. Gift for gambler.